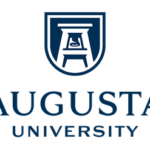 Augusta University, a distinctive, integrated public research university and health sciences medical center, invites applications and nominations for the position of Director of Student Counseling & Psychological Services (SCAPS). This position offers a tremendous opportunity for a visionary and experienced mental health leader to foster creative strategies and innovative solutions to meeting the needs of an increasingly diverse student population in a dynamic university environment. The new director will lead efforts to respond to the increasing need for high-quality mental health services for Augusta students at all levels. As an advocate for students and staff, the director must demonstrate a commitment to enhancing the utilization of SCAPS, and to anticipating the needs of current and future students at a rapidly growing institution. The successful candidate will have the experience required to lead and inspire a team of dedicated mental health providers and create opportunities for professional growth and team-building; be familiar with the changing demographics and counseling needs for student populations including undergraduate, graduate, and professional students; and understand the mental health barriers that impede students’ success and progress to graduation. As an institutional leader on mental health priorities, the director will be expected to demonstrate a strong commitment and appreciation of diverse student populations; possess expert knowledge of current trends and best practices in college counseling services; and have a collaborative and strategic spirit, with the disposition to partner and work closely with all areas in the Division of Enrollment and Student Affairs and throughout the University, including maximizing opportunities with the four health sciences colleges. In addition, the director will demonstrate a strong appreciation of the history as well as the distinctive nature of Augusta University as a public research university and medical center with a strong dedication to training the next generation of innovators, leaders and health care providers. Located in Augusta, Georgia, Augusta University is a public research university and medical center dedicated to training the next generation of innovators, leaders and health care providers. Home to three campuses in Augusta and various satellite locations across Georgia, Augusta University is at the forefront of groundbreaking research focused on improving and enriching the human experience. Offering undergraduate programs in the liberal arts and sciences, business and education as well as a full range of graduate programs and hands-on clinical research opportunities, Augusta University is Georgia’s innovation center for education and health care. The combination of nationally ranked business and nursing schools as well as the state’s flagship public medical school and only dental school makes Augusta University a destination of choice for the students of today and the leaders of tomorrow. Check out the wonderful history and exciting future of this growing and innovative university at www.augusta.edu. The Director of Student Counseling & Psychological Services (SCAPS) requires visionary leadership to advocate for and enable the optimal provision of high-quality programs and services to a diverse population of nearly 9,000 undergraduate, graduate, and professional students. Reporting to the Assistant Vice President and Dean of Students, the Director will provide clinical and administrative direction for a dedicated staff of mental health practitioners as they support students through direct service, outreach, consultation, and crisis intervention. In addition to providing guidance and consultation to the staff, the Director will be expected to develop strong, collaborative working relationships with a team of Health and Wellness Services colleagues across various disciplines: primary care, behavioral health, counselor education, and psychiatry. • Provides leadership, vision, and administrative direction for a dedicated staff of mental health practitioners in SCAPS. • Provides administrative oversight and supervision, assuring the highest standards of professional and ethical conduct, for the professional staff of providers and trainees (e.g., graduate students, practicum or interns). • Provides direct client clinical services as a psychologist or licensed counselor, including individual, group and couples therapy, and crisis intervention services. • Manage the financial operations of SCAPS, including budget management and aligning programs and services with available resources. • Develops strong and collaborative relationships across the University in support of student well-being and academic success through consultations, seminars, groups, workshops, and outreach events. • Is responsible for the overall administration and strategic direction of Student Counseling and Psychological Services, including strategic planning and needs assessment. • Provides expertise and consultation with administrators and faculty/staff for the University’s CARE team regarding student behavioral health issues, student needs, and crisis intervention. • Serve as the key University liaison on mental health issues, policy, and practices. • Doctoral degree in a clinical mental health discipline from an accredited program with licensure or eligibility for licensure as a psychologist or licensed counselor in the state of Georgia. A permanent license from the state of Georgia must be obtained within one year of employment. • At least five years of relevant and successful experience in comparably complex and sized university counseling center and/or mental health organization, including experience supervising and evaluating employees and resolving conflicts. • Experience with and/or interest in preventative psychological education and outreach programs. • Expertise and/or experience in crisis intervention and working with a broad range of presenting problems and constituencies. • Demonstrated ability to work well with diverse individuals and entities, training and experience in outpatient clinical settings and experience with a range of presenting problems. • At least three years of experience in a college or university counseling or mental health setting. • Prior administrative and training supervision experience, budget planning, and supervision of mental health professionals and relevant staff. • Experience with current adolescent mental health issues. • Experience and familiarity with accreditation requirements and standards. • Experience or interest in mental health outreach programming. • Demonstrated experience using electronic health/medical record system. • Experience working in a setting involved in the training and supervision of counseling and psychotherapy to graduate students in training or post-graduate professionals. • Strong interpersonal skills and experience working in a team environment. Augusta University is an equal employment, equal access, and equal educational opportunity, and affirmative action institution. Also, Augusta University is a federal contractor and desires priority referrals of protected veterans. It is the policy of the University to recruit, hire, train, promote, and educate persons without regard to age, disability, gender, national origin, race, religion, sexual orientation or veteran status. A confidential review of applications will begin immediately and will continue until the appointment is made. All materials submitted by April 20, 2019 will be given full consideration. Nominations, expressions of interest, and requests for confidential conversations about the position prior to application are welcome and should be directed to Dr. Jan Walbert, the K&A senior consultant leading this search at: jwalbert@keelingassociates.com.